Loving this outfit! 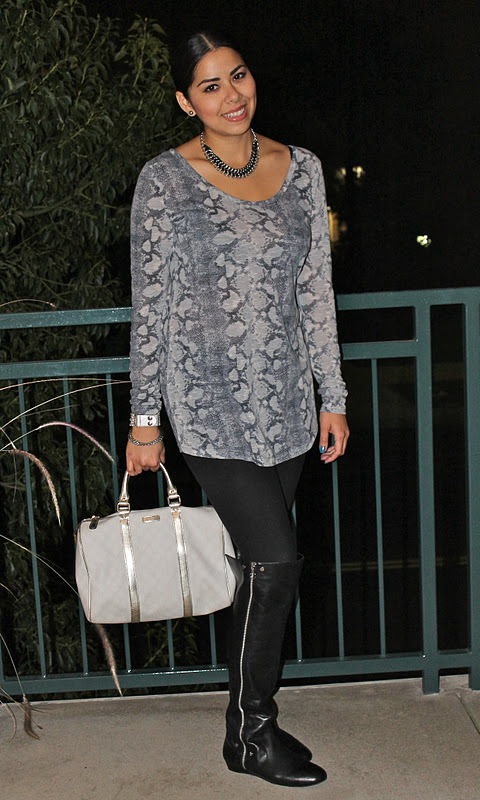 I don't normally love python prints but I do love your top and it looks great on! Loving the chicness! Can I say that I'm jealous of your Gucci? Have a great weekend! Very, Very Cute!!!! That top is fabulous!!! Cute outfit! I'm a little obsessed with snakeskin print lately! Pau you look so chic! 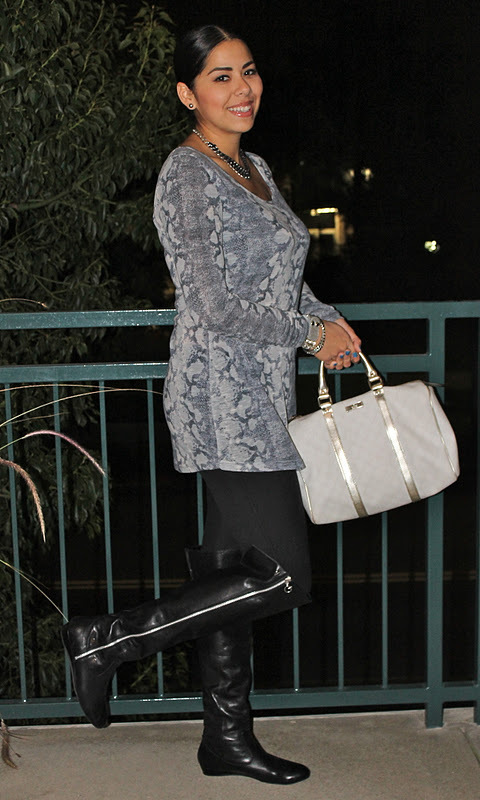 The python print is one of my favorites, very stylish! Oh and the boots are fierce! Good job girl! Beautiful!!!! I love your blouse!!!! I love your outfit! Your python blouse is fabulous. You look gorgeous. Love your blog. 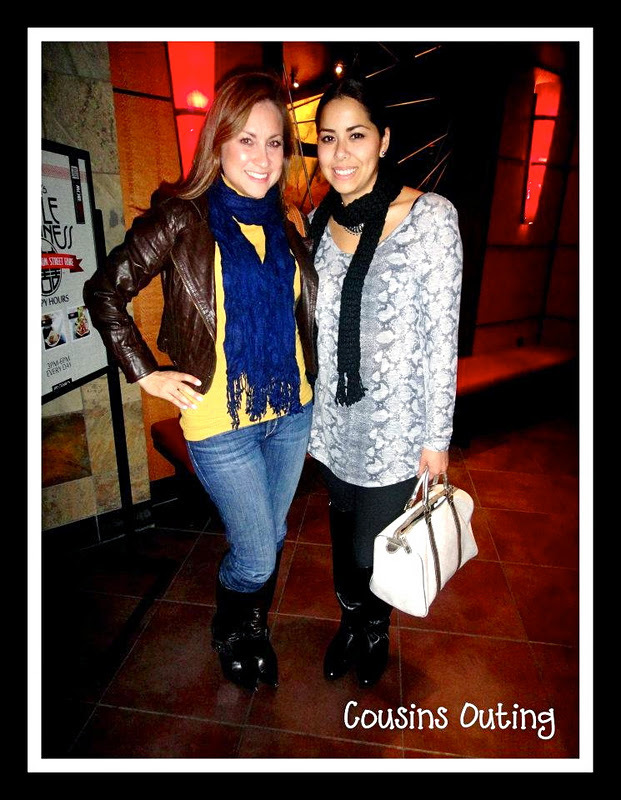 Gorgeous, I absolutely love your outfit! 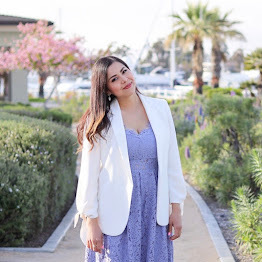 That's a great necklace and that top suits you so much :) There's a new outfit post up on my blog and I'd really love to hear what you think of it. Feel free to stop by! I love your nails! They're so fun! The necklace is super cute, does it happen to be that Spiked Punch brand?